In Iowa, How Does The Process Work? Iowa Workers’ compensation claims are governed by state law and administered through the Iowa Division of Workers’ Compensation Commission. The commission has various hearing sites throughout the state where hearings are conducted.  To preserve all of your rights, you need to file an original notice and petition giving out all pertinent information within the appropriate statute of limitations; otherwise, it can be barred, leaving you without a remedy should your benefits be denied or terminated. It is generally not difficult to identify when a single accident causes the injury. But when the injury is caused by repetitive stress over time, such as carpal tunnel syndrome or torn rotator cuff, calculating the statute of limitations is more difficult. That is why it is important to consult an attorney as soon as possible to make sure your rights are protected. If your benefits are wrongly denied or terminated by the compensation carrier, your recourse is to bring your claim before the Commissioner. This cannot happen, however, unless you have formally filed a claim with the Commissioner. Once medical treatment is concluded, and your permanent disability status can be evaluated, the claim can be resolved by either settlement or arbitration. A settlement with the compensation carrier can take various forms and may result in the termination of your rights to any additional benefits for the injury. The amount of permanent disability benefits a worker should receive depends on a number of factors, including the part of the body injured, the rating provided by a physician, or its impact on the worker’s earning capacity. You need a full understanding of the law and what evidence is necessary to evaluate a true disability and get the compensation you are entitled. Consult with an attorney to fully understand the ramifications of each option. Knowing your rights will help you obtain the benefits appropriate to your situation.